Patyka recently underwent some restructuring, and the result is a brand new look and a complete revamping of their product lines. Disappointingly, it also brought about the discontinuation of their perfumes which is such a shame as Ambré was a uniquely light and warm amber fragrance that I now have to use sparingly. But, as is often the case with change, there are new things to embrace, so I have approached Patyka’s transformation with an open mind. So far, their White Grape Body Lotion is my favorite. It’s more like a body milk, very light and absorbs rapidly. It’s amazingly effective for such a light lotion as a pea sized drop spread over the top of my hand turns parched winter skin baby soft. And true to its name, the scent is just like sweet grapes. Not that of sticky sweet purple grape juice but rather freshly crushed green grapes gently dusted with powdered sugar. So if you’re looking for a fresh and fruity body moisturizer but don’t want to smell like a cheap tropical cocktail, consider Patyka’s White Grape Body Lotion. Oh, and here’s another thing that sets it apart from the crowd, it’s 99.95 % natural and 20.26 % organic. Hydrosols, a by-product of the distillation of flowers, roots, barks, branches, needles and leaves of plants, are what remain after the essential oil is separated from the water used in distillation. Hydrosols contain only a tiny amount of the oil, but they have plant-based properties and nutrients, which make them very different from regular water to which a few drops of essential oil has been added. Hydrosols are lighter and evaporate faster than essential oils and offer a different, more subtle olfactory experience. Hydrosols can be used as toners, but toners are typically refreshers or astringents that contain several ingredients and a hydrosol might be one of them. 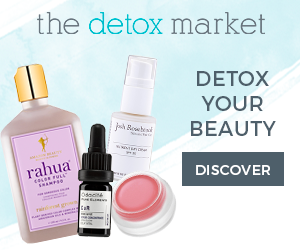 (The Makeup Diva provides a very thorough discussion of toners that I recommend reading). 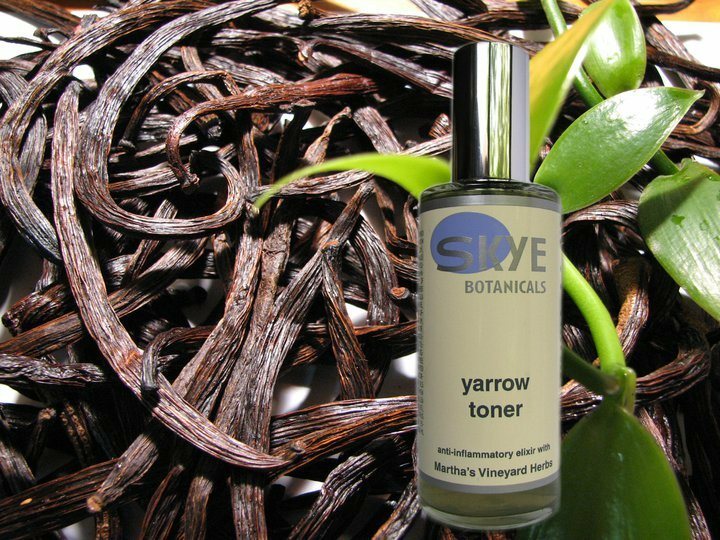 Skye Botanicals Yarrow Toneris an example of a toner that contains a handmade hydrosol from locally sourced Martha’s Vineyard yarrow. It’s both astringent and soothing with its combination of yarrow, witch hazel, lemon balm and chamomile. Skye Botanicals Rose Petal Toner doesn’t utilize a hydrosol, but its combination of rose essences, aloe vera and seaweed extracts are incredibly calming and balancing. 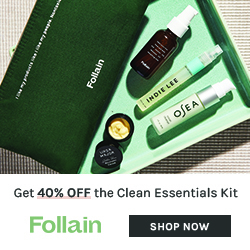 A spritz or two of either toner augments the moisturizing power of my serum and I have been using them nightly, alternating with my other favorite, evenhealy’s Rose Geranium Facial Tonic Hydrosol. Speaking of evanhealy, just when I thought my love for this line couldn’t get any bigger, I went and tried their Chamomile Eye Care Cream and found that indeed, I could love it a little more. It’s a shea butter based eye cream that’s whipped and airy but incredibly moisturizing. 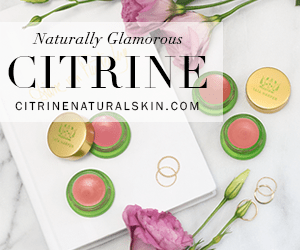 If shea butter makes you concerned about clogging pores, it’s listed in the middle of the ingredient list, so it’s not heavy and has not caused me any undereye milia which occurs easily when I use dense creams. An additional plus is the absence of eye irritation which is another common problem for me and eye treatments. Like all of evanhealy’s products, the Chamomile Eye Care Cream is 100% all natural and contains no GMOs, parabens, petroleum-based products, synthetic fragrances, or animal testing. evanhealy’s Chamomile Eye Care Cream is available at evanhealy.com and select Whole Foods. $30.95 for 0.5oz. Here’s another Scent Hive review on evanhealy skincare. Disclosure: Patyka sample was from a SpiritBeautyLounge order. Skye Botanicals samples were sent to me for consideration by Skye Botanicals. The evanhealy sample was given to me by a Whole Foods SA. The opinions in this review are my own. I was not financially compensated for this review or any other. Previous Post The winners of the Honoré des Prés giveaway. I am precisely waiting for some samples of Patika products, especially for the eye area. Can’t wait to try them and give my opinion! thanks for your article. I’ll bet the Patyka eye cream is wonderful! Will look forward to your thoughts. The Chamomile Eye Care Cream sounds very nice. I’m going to check it out. I’d also like to be enetred in the drwaing to win a bottle of Bed of Roses from the email from Velevet and Sweet Pea Purrfumery. Hey Cathy, the V&SP giveaway has not been posted yet. I will do so later tonight. You’ll need to come back then and make a comment under the post about the Bed of Roses giveaway.